22nd FEB 1917: YOUNGEST SON & BROTHER LEAVES HOME FOR WAR. Bertie Hibbett, Red Cross Hospital, New Brighton. Pte BERTIE HIBBETT, Cenacle, New Brighton, GREETINGS POSTCARD to Mrs A. HIBBETT, Foden Rd Walsall. Cenacle. Thursday 22nd Feb.9 a.m. Received your letter this morning. Thank you for the M.O’s. (1). Yes dear Basil will be at Holyhead today (2). I did not know he was leaving Home yesterday (Wed). I will write for Sunday. Greetings Post Card: P.F.A.P. Series R146. CAPTION: Loving Greeting to my Dearest Mother. May health and joy and peace abide, for ever round the home fireside; With loving hearts to bless and cheer Your way through this and every year. 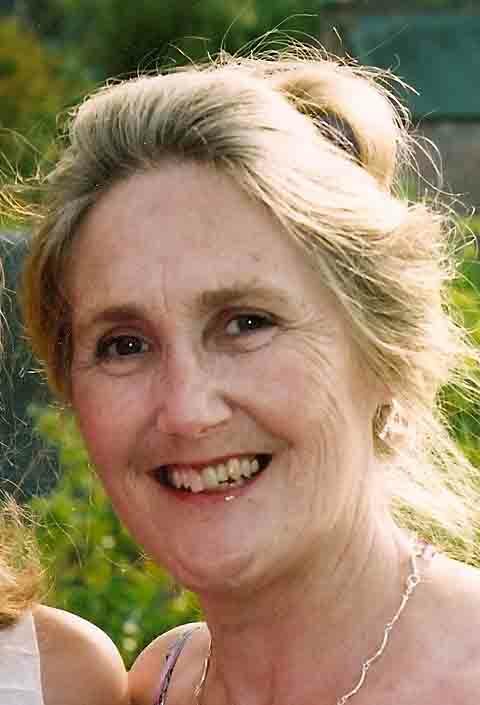 Loving Greeting to my Dearest Mother. May health and joy and peace abide, for ever round the home fireside; With loving hearts to bless and cheer Your way through this and every year. 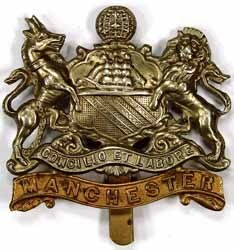 LIEUTENANT BASIL HIBBETT, youngest son of Arthur & Marie Neal Hibbett, enlisted in the Manchester Regt. 9th Bn Territorials. 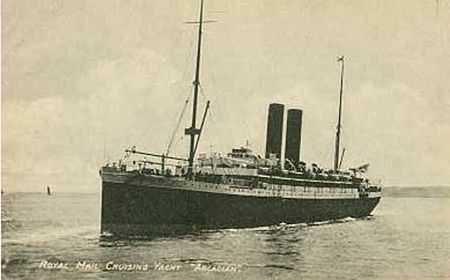 It would appear he sailed from Holyhead on HMT Arcadian (3) on 4th March, arriving in Marseilles 11th March 1917. The Manchester Territorials may have been intended for Alexandria & the Eastern Front but on arrival in Marseille they were entrained for Pont Remy (4) and the Western Front, arriving 14th March to become part of the 42nd Division, 10 miles east of Amiens. These troops, the last of 42nd Division to arrive in France in WW1, were issued with rifles & steel helmets and began training in trench warfare, trench digging and route marches. Rough Map of the Western Front 1917 showing Basil Hibbett’s route from (A) Pont Remy to the trenches at (B) Epehy. efw. On 18th April the 9th Bn Manchester Territorials moved to Haquaix (5) and, on 22nd April, Basil Hibbett went into the trenches for the first time at Épehy (6) to take part in the Battle of Arras. The Battle of Arras began on 9th April 1917 and would last until 16th May1917. It intended to ‘redress the failure of the Battle of the Somme’ 1st July 1916, force the Germans back 5 miles on a 4 mile front, capture Vimy Ridge and advance towards Cambrai. The aim was to support the French Nivelle Offensive on the Aisne (50 miles south) which had planned ‘to break through within 48 hours.’. Wikipedia. 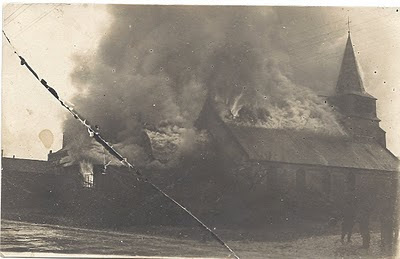 L’eglise, Epehy after German attack. 1918. 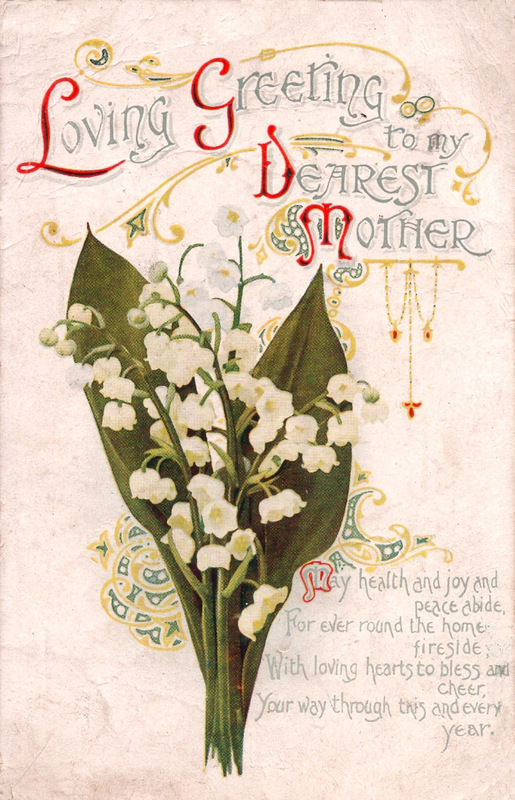 My father’s first thought on 22nd Feb 1917 was for his Mother – and what she must be going through the day her youngest son, 18, left Home for Holyhead en route for France. He would learn later that Basil entered the trenches just a few miles from where he & Sydney had been fighting the year before. I remember my father often spoke of his youngest brother as ‘taking the place’ of Sydney, Killed in Action, 1st July 1916. (2) Holyhead: Anglesey, Wales. Major specialist training centre for departures to France in WW1. (3) RMSP Arcadian: Armed Troop Ship WW1. Originally the SS Ortano, (British transport passenger ship/cruise liner, built by Vickers, Barrow-in-Furness). Renamed RMSP Arcadian, 21st Sept 1910. 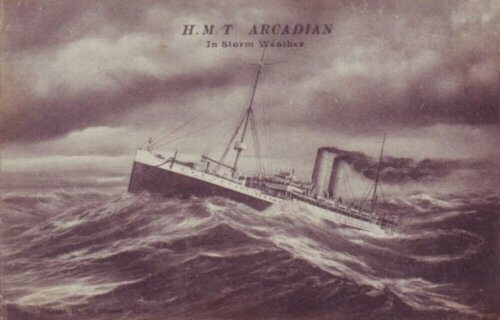 In WW1 named HMT Arcadian (His Majesty’s Troop Ship) it transported troops to the Eastern Front. Torpedoed 15th April 1917, 26 miles NE of Milo on route for Salonika, Alexandria. Sank in 6 minutes: 1058 rescued. 279 drowned. PC: HMT Arcadian in stormy weather. 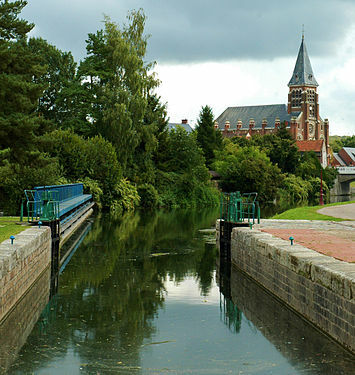 Pont Remy: Church of St Nicholas & Canal. 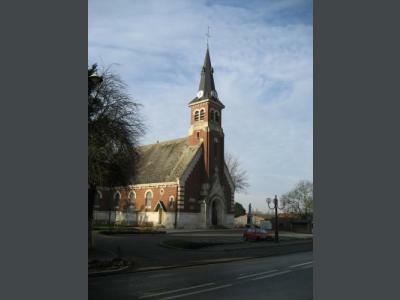 (4) Pont Remy: Commune in Somme Department, Hauts-de-France, where St Remigius (Remy) was born: with the help of St Vedast (Vaast) he baptised Clovis, King of the Franks into the Christian Faith, 25th Dec. AD 496. (See Hibbett profile/connexion). (5) Haquaix: Reserve Camp for troops at Épehy Front Line? Parish Church of St Nicholas Epehy. wiki. 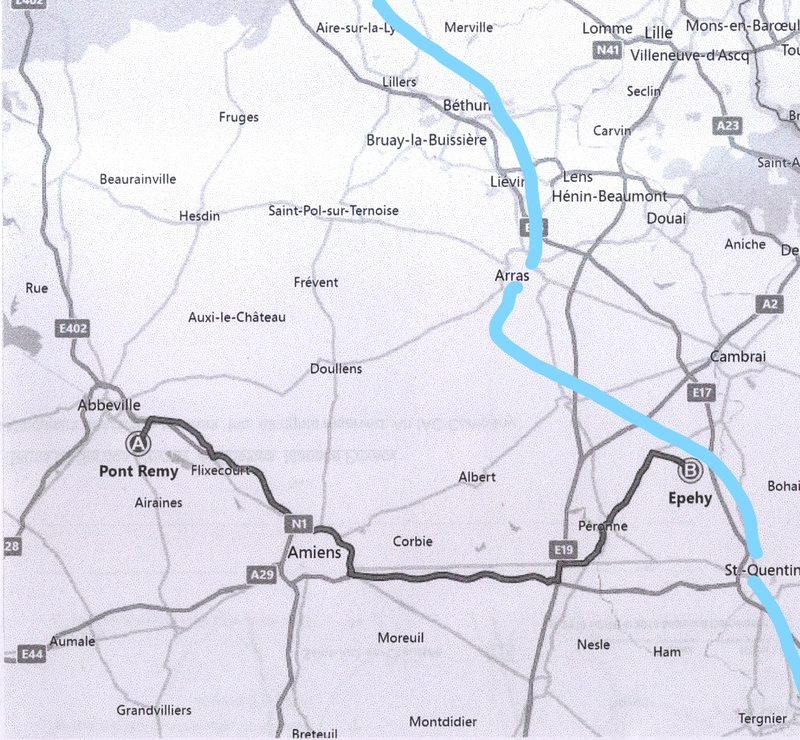 (6) Épehy: Commune in Picardie, Somme, Hauts-de-France (13 miles from Cambrai / 14 miles from St Quentin). Parish Church of St Nicholas. NOTE to HIBBETT FAMILY: if Lieutenant Basil Hibbett’s details are inaccurate in any way please contact me. NEXT POST: 3rd March 1917. Wounded Pal’s Letter to Pte Bertie from ‘my own Little Home’.